The Navy often uses unique words to describe common activities and objects. 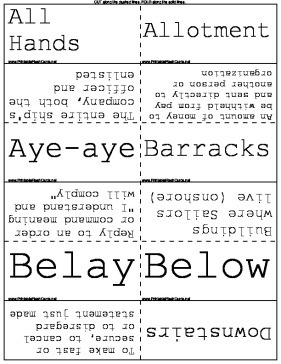 With these flashcards, anyone can learn the lingo used in the Navy. Aye-aye Reply to an order or command meaning "I understand and will comply"
Pogey bait Any deserts, sweets, candy, soda, etc.